Today, the Overseas Private Investment Corporation (OPIC, the U.S. Government’s development finance institution), Calvert Foundation (an impact investing organization), a private foundation and a Dutch private family office announced the closing of a USD 17.45 million agreement to expand the Medical Credit Fund. 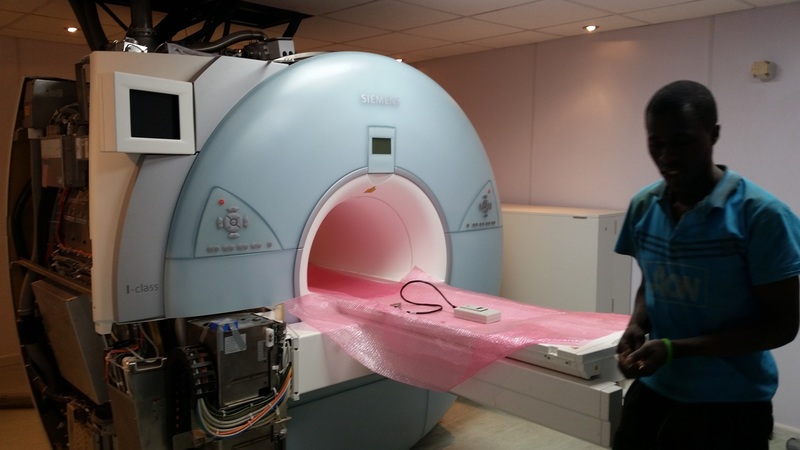 Hospitals like German Medical Center in Nairobi can now finance large loans to purchase much-needed equipment such as an MRI. This new injection will allow the fund to further catalyze healthcare investments and achieve greater impact on healthcare for underserved populations in sub-Saharan Africa. Since 2010, Medical Credit Fund (MCF) has been working to provide access to credit for small and medium-sized healthcare enterprises in Africa. So far, more than USD 16 million in loans has been disbursed, leading to quality improvement at about 70% of the facilities. In 2012, MCF raised USD 10.6 million from OPIC and four leading international foundations. This was made possible by, among others, the Dutch government, the G20 SME Finance Challenge and the US Agency for International Development, who provided first loss and technical assistance grants to the fund. Medical Credit Fund, initiated by the PharmAccess Group with support from De Grote Onderneming and Aidsfonds, is a Netherlands based social impact fund that enables Health SMEs in sub-Saharan Africa to access affordable finance in order to improve the quality of healthcare. By reducing the unknown risks of investing in smaller scale healthcare providers, it catalyzes financing that enables healthcare providers to invest in quality enhancement and expansion of their facility. The finance program is combined with technical support on quality improvement and business planning, delivered by PharmAccess and its partners. In 2010 MCF won the G20 SME Finance Challenge award, which was presented to its chairman by President Obama during the summit in Seoul. In 2014 it also received the OPIC Impact Award for Access to Finance.